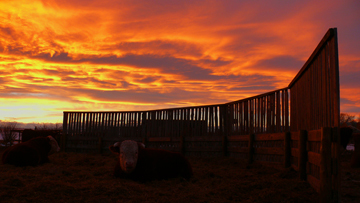 Once again, Sale Day has come & gone. 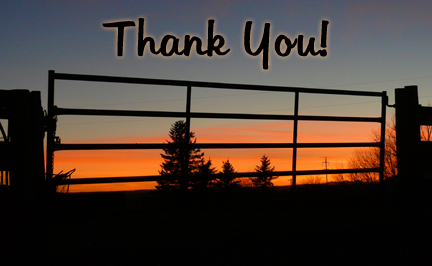 A heart-felt THANK YOU once again to the wonderful buyers and bidders who came to Lethbridge or joined online! 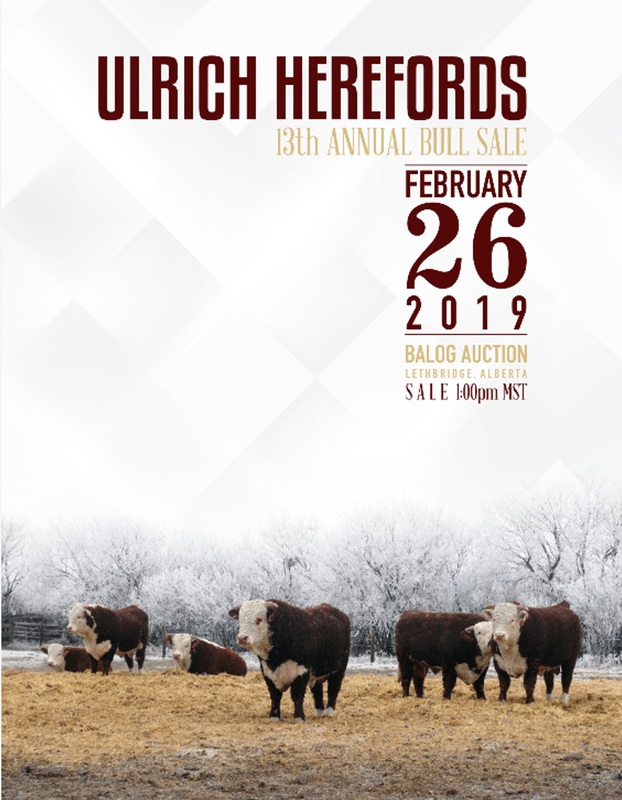 If you can’t make it to the sale in Lethbridge, please join in live online with DLMS! 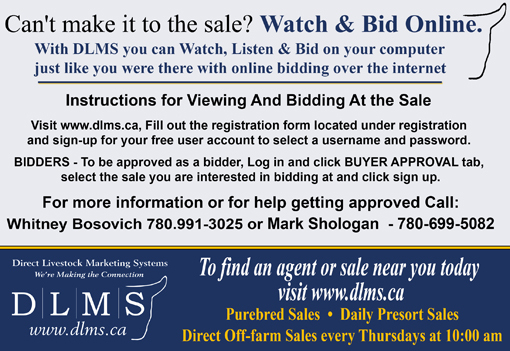 With New Updates to our Audio & Video system we Recommend All DLMS users use Google Chrome browser to watch DLMS Sales on your computer or Laptop. To watch the Audio/ Video on your phone please go to the App Store and Download the Puffin Web Browser. 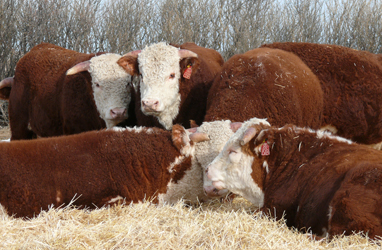 Our 13th Annual Bull Sale is coming soon!! We had a good sale on the 20th of February! 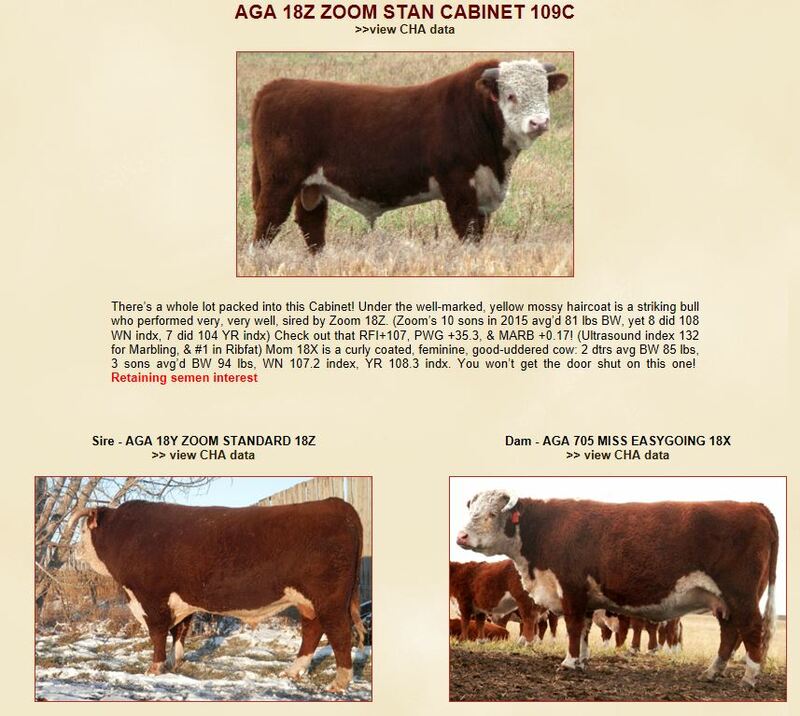 We greatly appreciate all the buyers and bidders that made it to the sale and those who bid online with DLMS! THANK YOU! 2018 Weights and Scrotals are now posted! 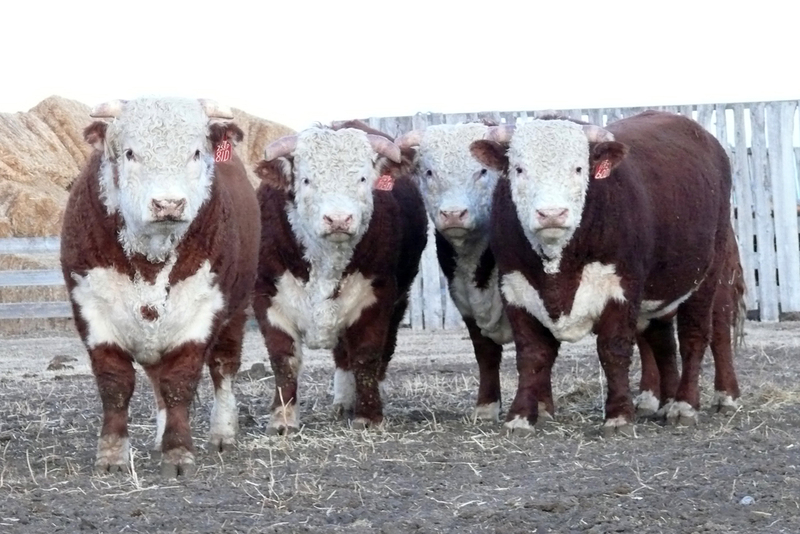 The sale bulls are pictured individually, and most of them along with sire & dam! 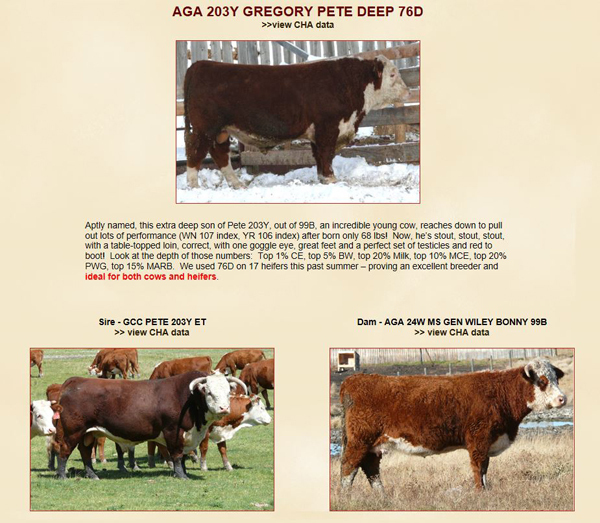 Just scroll down below the Sale Catalogue http://www.ulrichherefords.com/sales/upcoming-bull-sale/ and click on the individual Sale Bull’s photo! 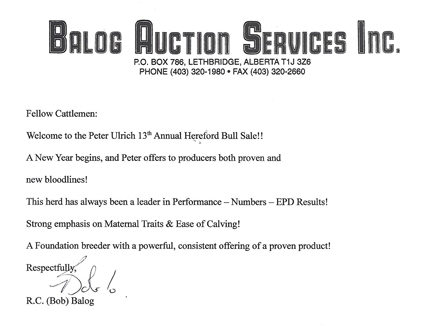 If you have any questions or want to drop by and see the bulls, give Peter a call: (403) 625-1036. Moving on out… Another sale has come & gone! A heartfelt Thank You to all the buyers & bidders who made our 2017 sale! 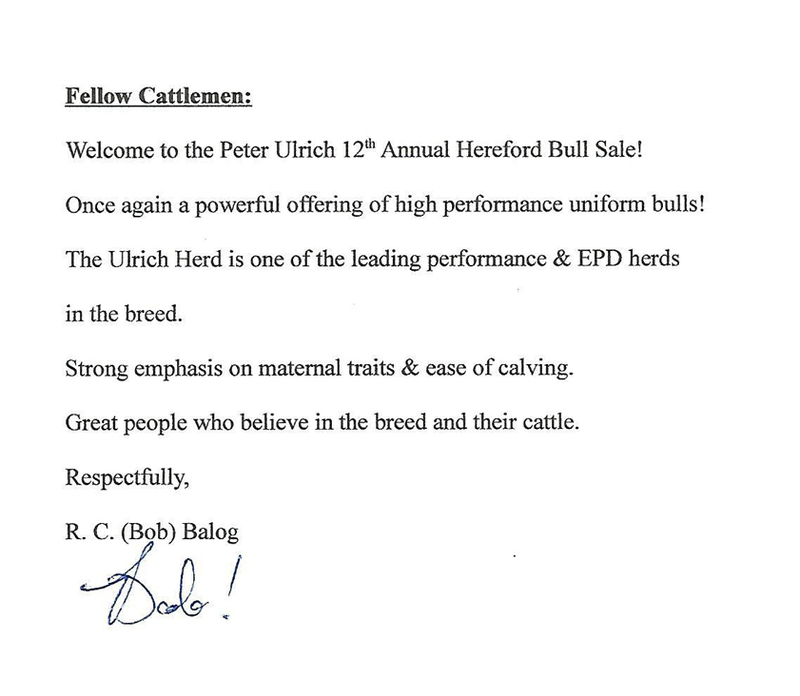 It was good to see all of you who came to the sale and also appreciated those of you who “came” via DLMS! New weights & scrotals posted! Weights taken on Feb 18, 2017 along with the scrotal circumferences are now posted. We had a really, really nice sale on the 23rd of February 2016! We greatly appreciate all the buyers and bidders who made it such a wonderful success!! THANK YOU! 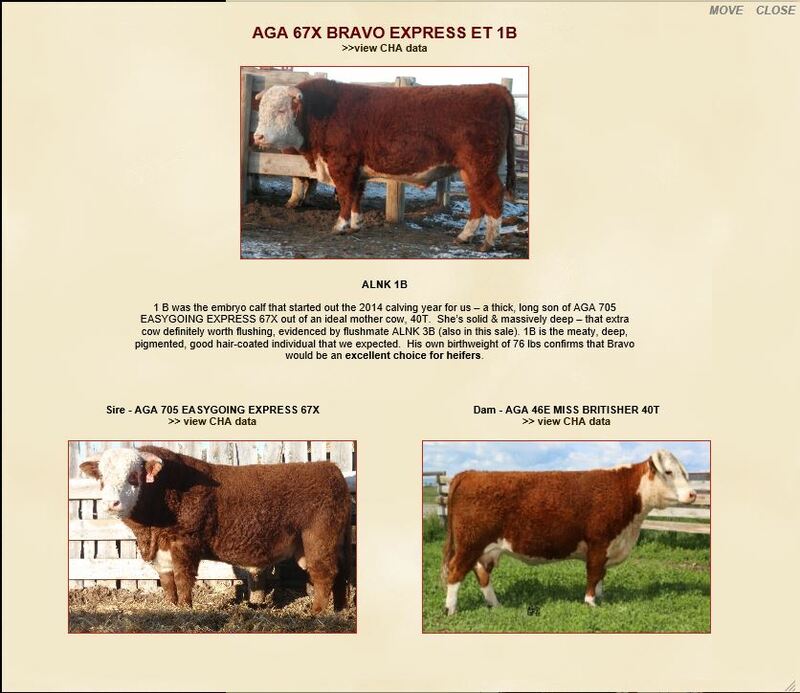 Many sale bulls are pictured along with sire & dam! 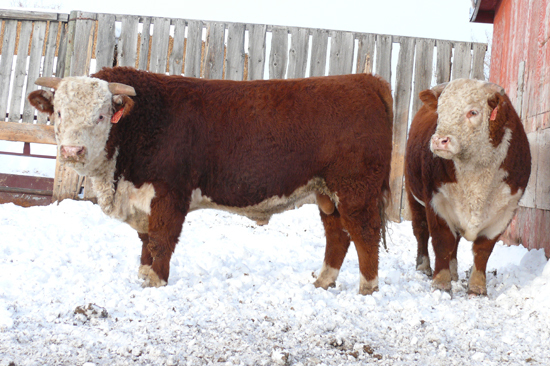 Just scroll down below the Sale Catalogue http://www.ulrichherefords.com/sales/upcoming-bull-sale/ and click on the Sale Bull’s photo! 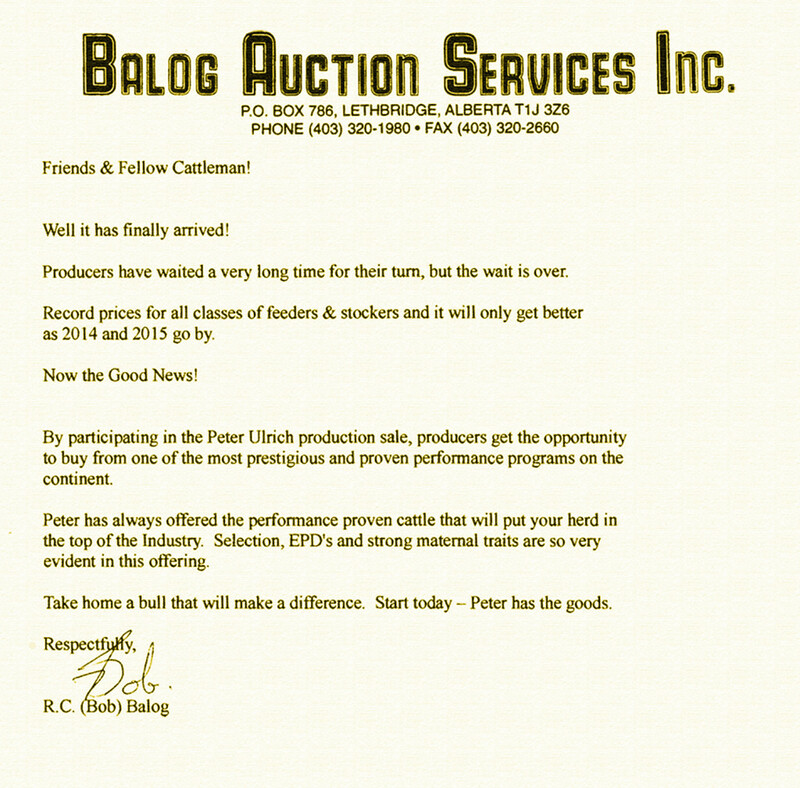 We certainly do appreciate the support & friendship of the buyers who have been coming over the years. 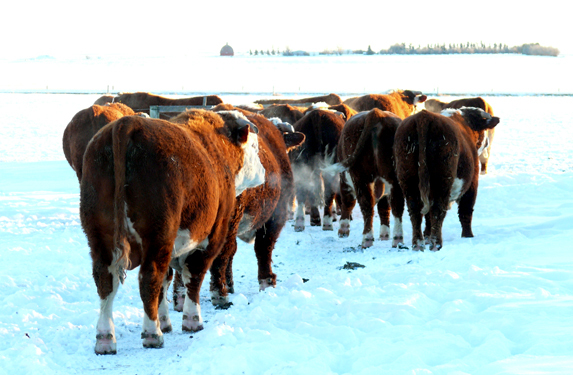 We look forward to seeing you on Sale Day – Tuesday, Feb 23rd, 2016! Please check our sale page for pictures and the catalogue for a full listing of what is on offer!